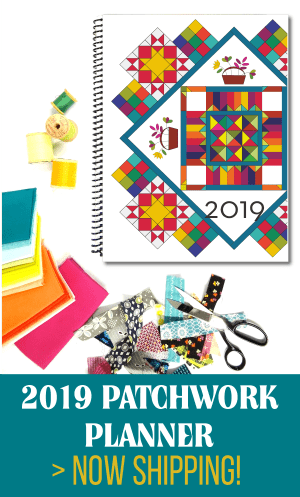 You have this perfect piece of fabric or yardage from the store….you can’t wait to get it in a finished project, but wait….somethings not right! When you cut it the fold is all crooked. The fabric bunches and the cut is horrible! 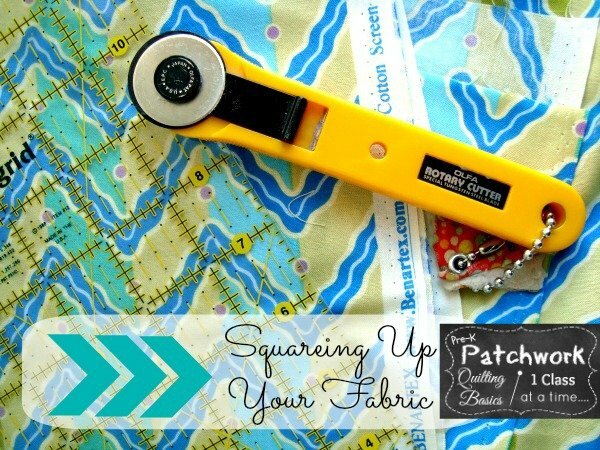 Today, let’s figure out how to square up your fabric so you can get right to the fun stuff— sewing! There are a few things you should do before you start. One is to iron your fabric. It has been rolled around on that cardboard center for way to long. It has bunchy parts, crinkles, creases…and don’t get me started on the folded end! 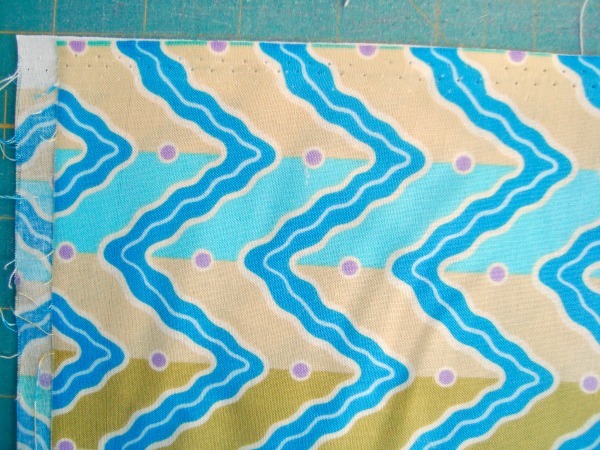 Use your hot iron to get your fabric all nice and flat and ready to get used in a project. 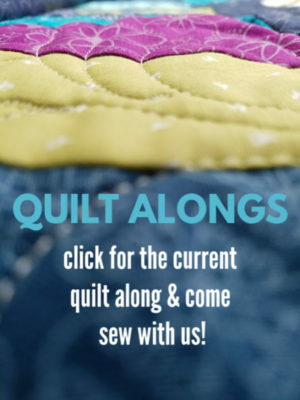 This step will save you a lot of piecing time too- because the fabric is flat and easy to cut into smaller pieces and to sew. 1) Refold your fabric. Line up the selvage edges. Smooth, smooth the fabric towards the folded edge. * if your fabric starts puckering up along the folded edge you will need to make an adjustment. Take the top fabric and scootch it a little bit one way or the other. Smooth the fabric and see if this helps. Continue to scootch the top fabric until it lays flat. Doing this gets the fabric weave lined up properly. 2) Line up the selvedge edge along a marking on the cutting mat. Your sides might not match! That’s ok. As long as the selvedge edge is lined up properly with each other and placed straight on the mat, you are doing things right. 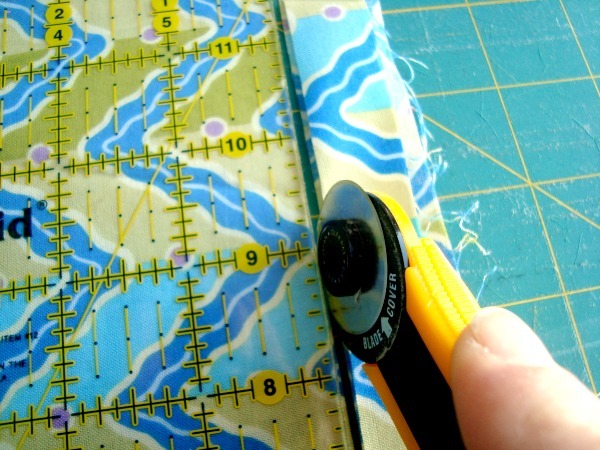 3) Cut a straight line with your ruler and rotary cutter. 4) Line up the ruler and start cutting the strips that you need for your projects. That’s it…pretty simple and when it’s done right it’s oooo so nice! Your cut strips will be straighter and will not pull or stretch. 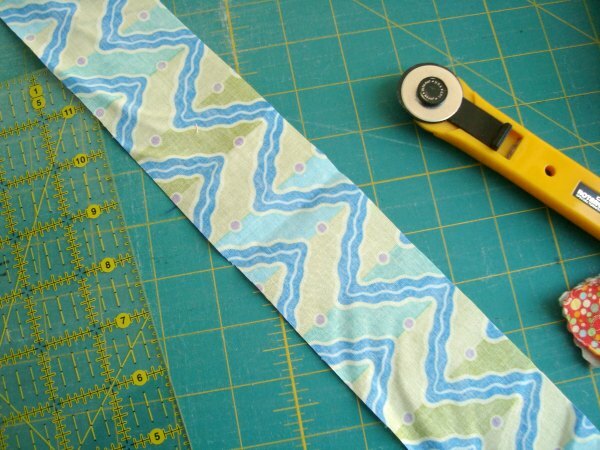 Your strips won’t have a bump at the fold, and piecing them in a project will be wonderful! 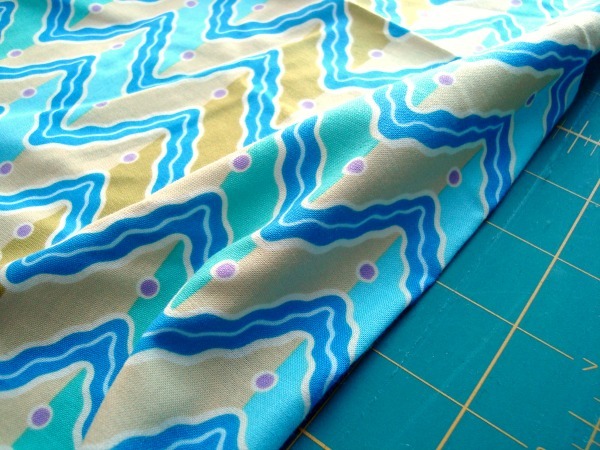 Q & A– Do you have a quick trick when you square up your fabric? We’d love to hear! Start the conversation below in the comments. 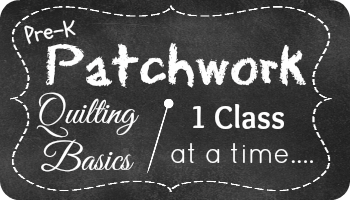 Want to follow along with the year long series~ pre-k patchwork? 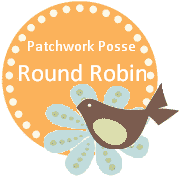 Quilting 101 by Patchwork Posse? Sign up for email reminders… I’m happy to send them your way! I like to cut my salvages off at this time also. 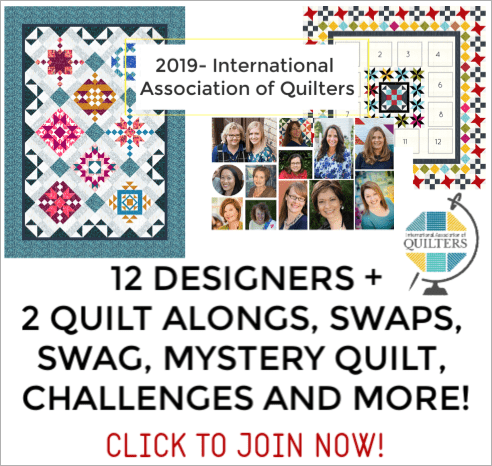 I cut them at 1 1/4″ and save them for sting quilts. 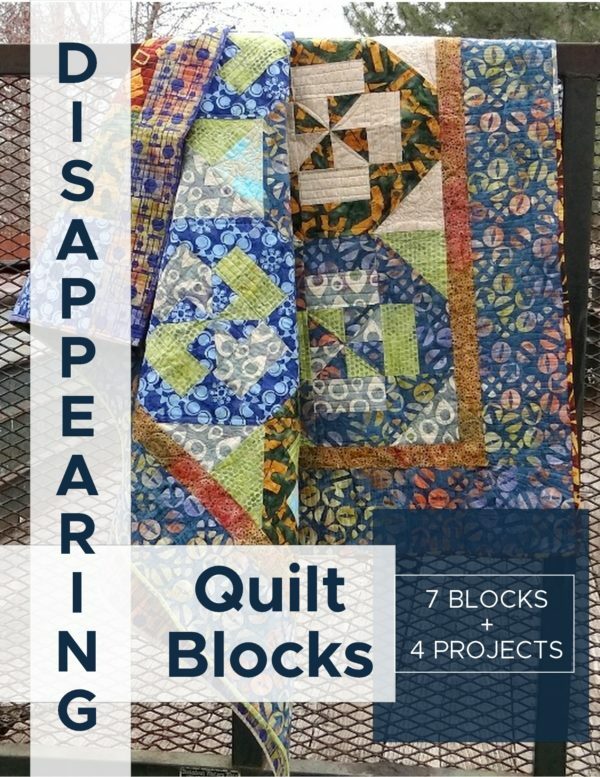 If you know the space that you are going to be storing your fabric in fold it all that way nicely so that there will be fewer wrinkles for next time.